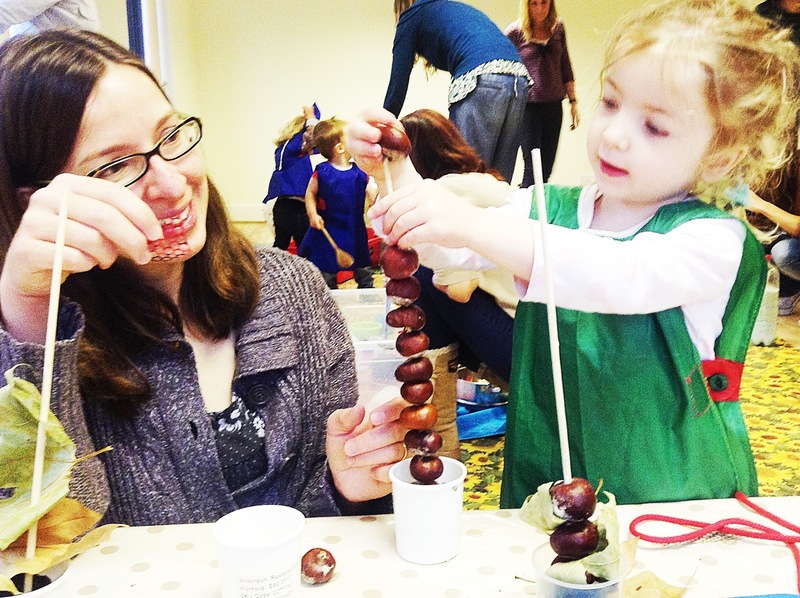 The activities in our workshops cover the Statutory Framework for the Early Years Foundation. Here is a links to the areas of development listed in the Framework. 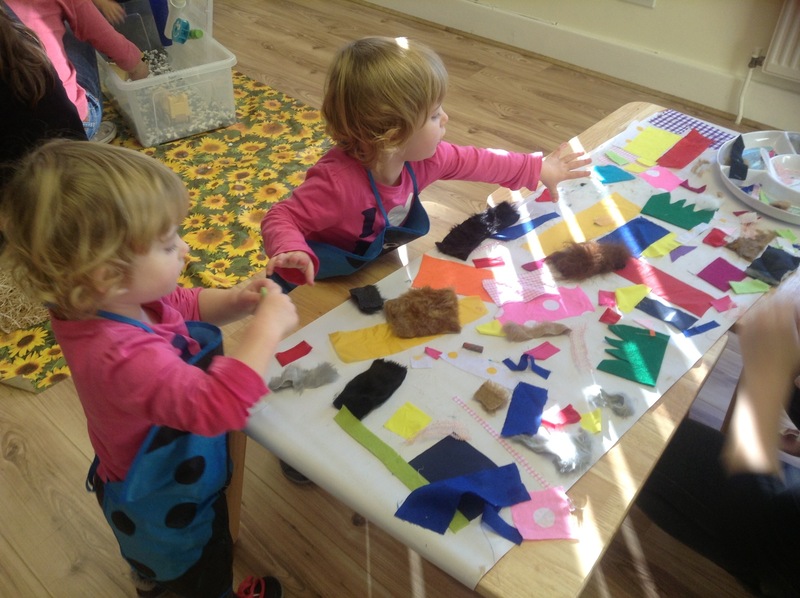 If you have been coming regularly to Tiny Adventure what have your little ones gained? They have built sensory pathways in their brain having touched smelt and tasted a wide variety of materials. They are building familiarity with letters and numbers and expanded their vocabulary discussing unusual experiences with you and hearing and singing new songs. They have experimented with wide range of physical and chemical phenomenon and simple machines. They have used their knowledge of the world to solve simple problems. They have examined and talked about many animals, plants and foods! They have examined and discussed many curious objects both man-made and natural. They have worked as a team following simple instructions with the parachute and as an individual with the ribbons to improve their gross motor skills. They have explored rhythm and music with percussion. In short their Tiny Adventure has been HUGE! None of it has been wasted! All of it has helped build their brain and given them a broader base of experience to call on in later learning. They have been on the receiving end of some of the best early learning experiences! 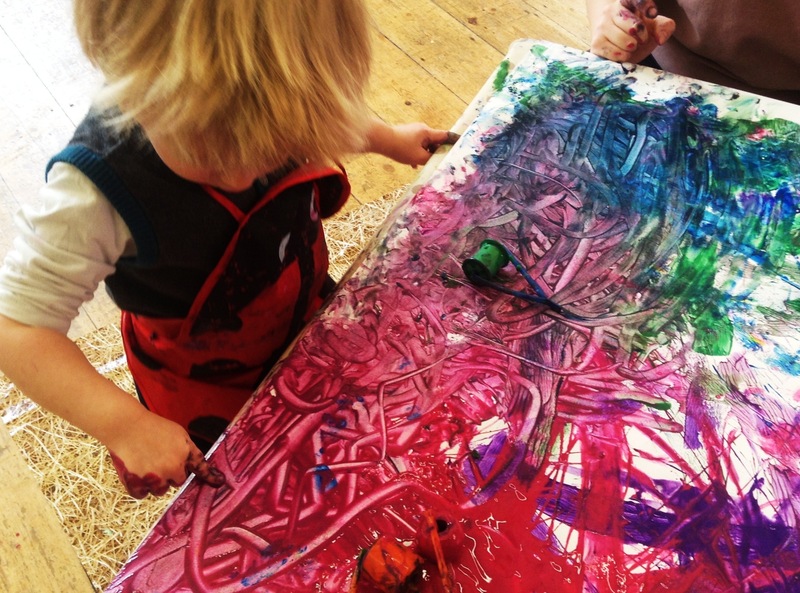 Many of our activities are designed to develop your toddler’s fine motor skills. 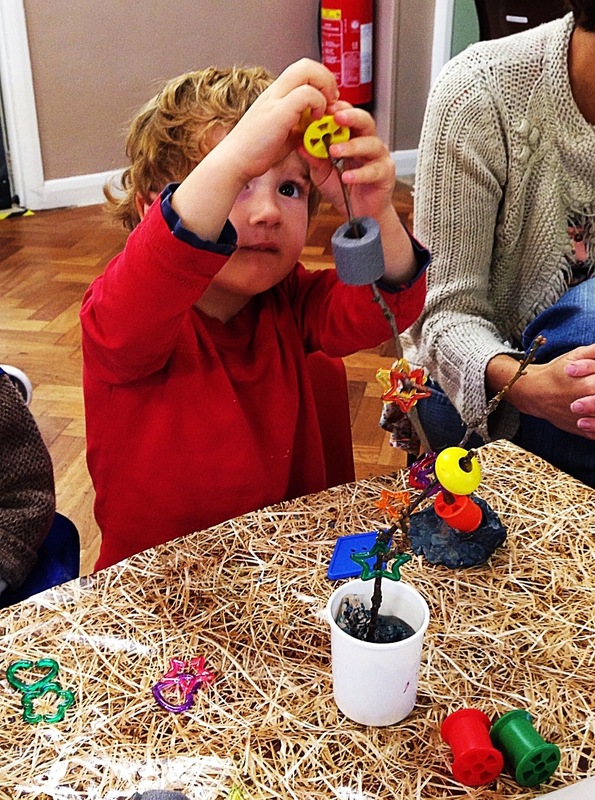 There will be fiddly objects to explore, dough play and a variety of tools to use that will improve hand strength and co-ordination of the fingers, such as tongs, paint brushes and large tweezers. We use many mediums to practice mark making, a precursor to writing. 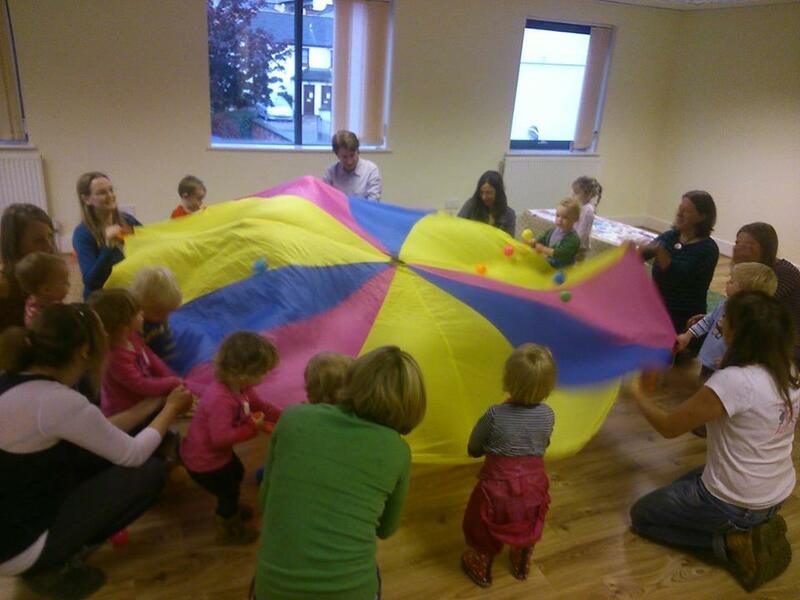 Gross motor skills are developed through dancing, parachute play, and pouring and scooping for example. 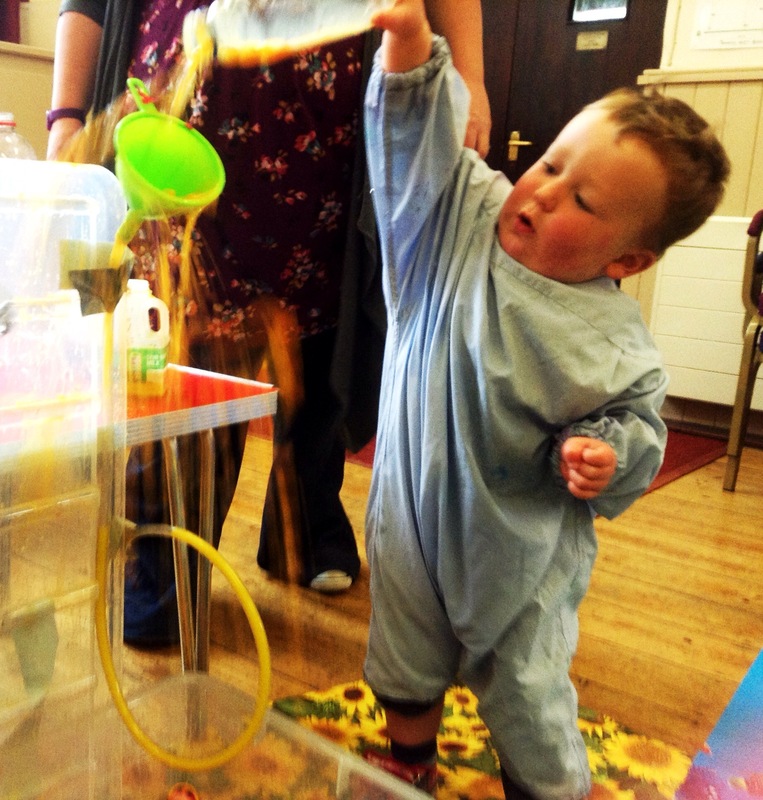 Toddlers gain understanding of how there physical world works through experimentation. Rolling, tipping, bouncing and sliding toys for example. 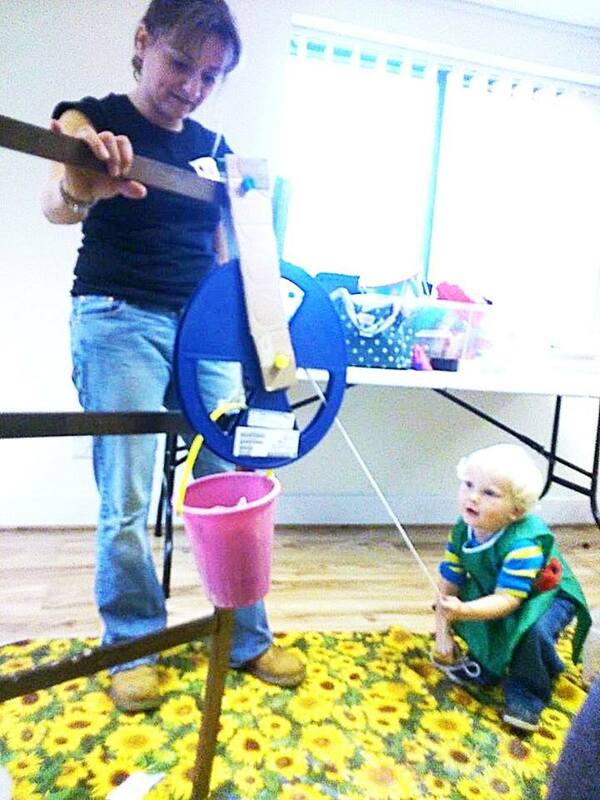 We present an ever changing variety of physical experiments for toddlers to explore, such as pulleys, tubes, ramps, levers and swings. 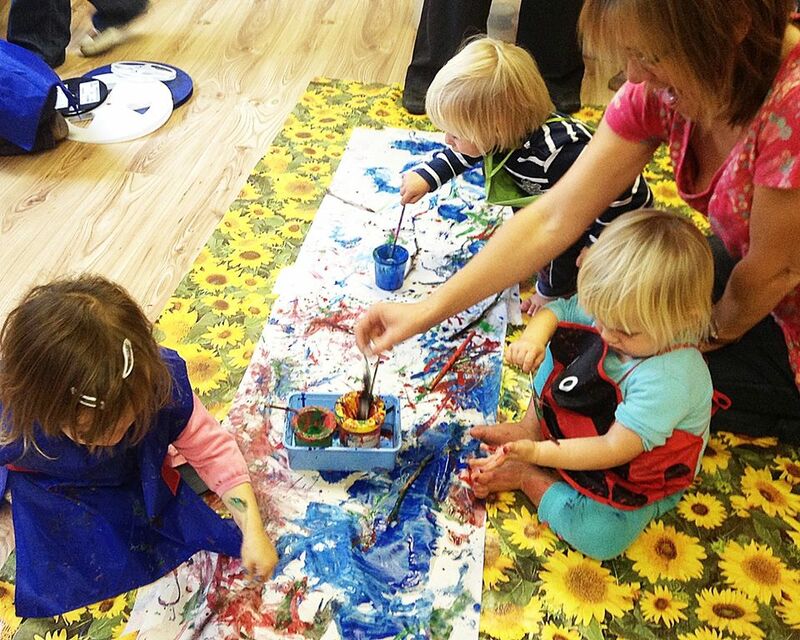 Each week we present different, imaginative ways to allow your toddler to express themselves creatively. Examples are drawing with charcoal, painting with feathers, fruit printing, painting by rolling balls, painting mirrors and textured finger paint etc. In the toddler years sensory pathways are developing in the brain. 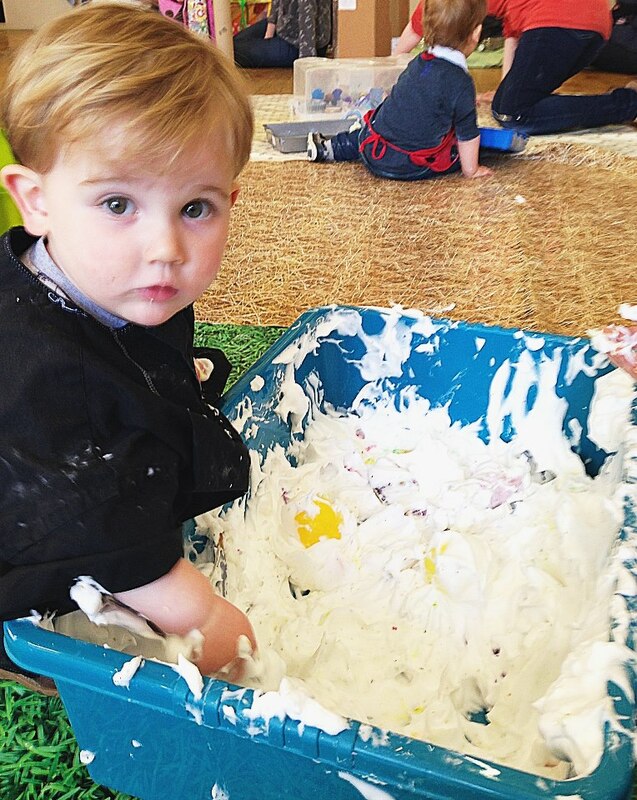 We provide stimulating textures and smells to explore through messy sensory play. We use scented and textured dough, paints, ice, water, sand, rice, foam, slime and jelly. Your toddler will have freedom to explore the activities under your supervision in their own way or with your help and encouragement. 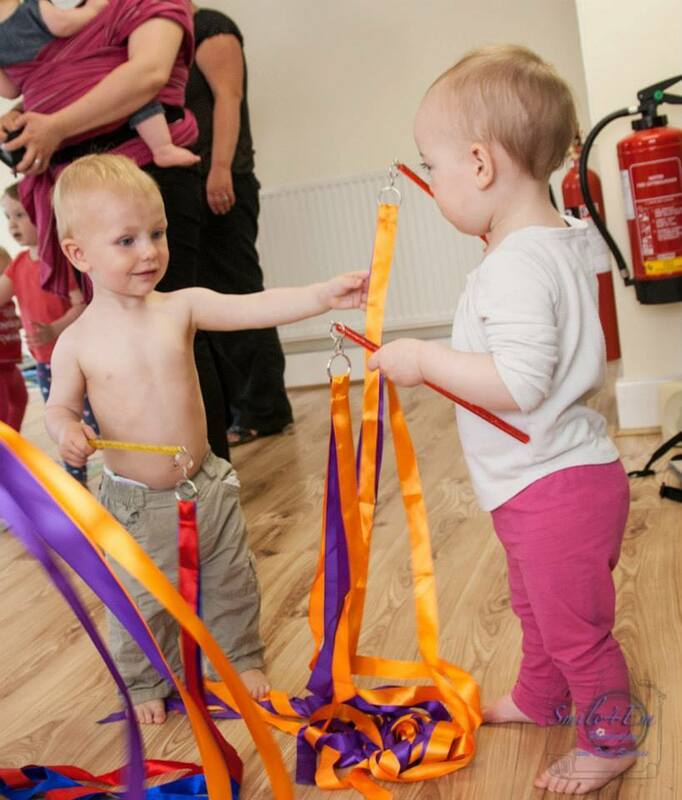 We explore sound and rhythm through ribbon dancing, parachute play, tap dancing, singing and percussion at the end of each workshop. Here are links to Why Are 0-3 Years So Important in Brain Development? and Is My Toddler Learning?